Jericho joined Smart Missile’s growing list of stakes performers when he rocketed home for second in Saturday’s $100,000 BRC Hampden S. 1200m LR. It was a big run from the Triple Crown Syndications colt, who drew 9 and ended up at the back of the field, but stormed home when space opened up for him in the straight. Victory was momentarily in his grasp, but inexperience cost him the critical final metre, and he conceded the win to the Godolphin colt Archives, who proved resolute on the rail. Spendthrift Australia’s promising Redoute’s Choice colt Redouble finished third. 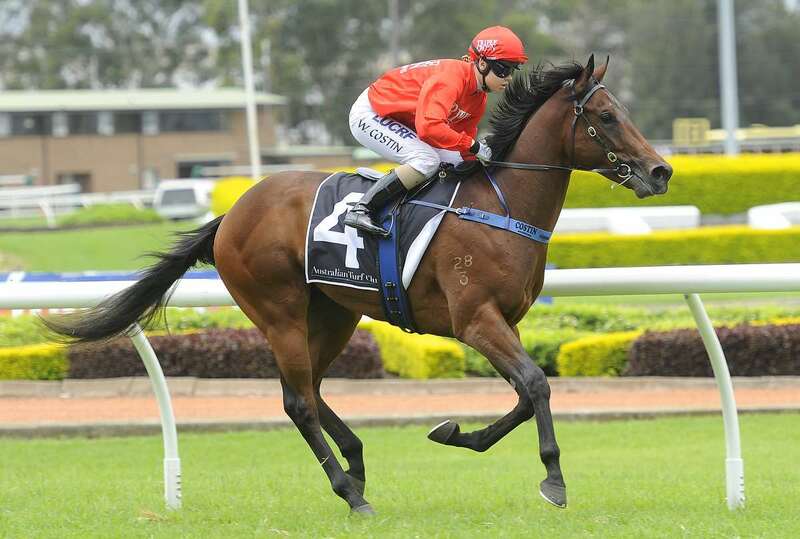 The $250,000 Sires’ Produce S. G2 on 28 May and the $600,000 J.J. Atkins G1 on 11 June are both on Jericho’s horizon. Given that he’s progressed from city maiden winner to Carnival stakes performer in two starts, they look within his capability. Trained by Peter & Paul Snowden, Jericho is the fifth stakes performer from Smart Missile’s first crop 2YOs, after Listed winner Sassy ‘N’ Smart, Group 3 placegetters Smart Amelia & Smart Manoeuvre, and stakes-placed Fromparis Withlove. Jericho, the second foal of the Red Ransom mare Advance To Go, was bred by Jonathan Andrews, Louis Le Metayer & partners and initially sold under the Willow Park banner at the Magic Millions National Weanling Sale to agent Sheamus Mills for $75,000. Re-offered by Rosemont Stud at the 2015 Magic Millions Gold Coast Yearling Sale, he was knocked down to Triple Crown’s Chris & Michael Ward for $180,000. Smart Missile is third in a tightly packed bunch at the top of an Australian First Season Sires’ list that will be fascinating to watch over the next two months. With six Group & Listed Races for 2YOs worth more than $1.2 million scheduled between 28 May and 9 July, this is one Premiership that remains very much undecided.